Even without Jameis Winston, Rashad Greene, Nick O'Leary, Mario Edwards and some other major pieces from last year's 13-1 squad, FSU has enough to win a fourth straight ACC title, though with some likely heavy resistance from Clemson. Notre Dame transfer Everett Golson takes over the reigns of the offense, and will be joined by breakout candidate Travis Rudolph at receiver. Jalen Ramsey is the leader of a wonderful defense. Few players enter the 2015 season with as much hype surrounding them as sophomore quarterback Deshaun Watson. Watson's play throughout his true freshman campaign a year ago was superb, and he has the pieces around him to turn into a superstar. Several key pieces from the Tigers' defense are gone, but defensive coordinator Brent Venables will turn to rising junior defensive end Shaq Lawson and more. Bobby Petrino enters his second year of his second stint at Louisville with quite the quarterback quandary: sophomores Reggie Bonnafon and Kyle Bolin, along with Penn State transfer Tyler Ferguson and recovering Will Gardner all in the mix. The good news is that back Brandon Radcliff should take some pressure off of whoever starts. Dave Doeren recovered well after a disastrous first year in Raleigh in 2013 (he went 3-9) with an 8-5 mark a year ago. 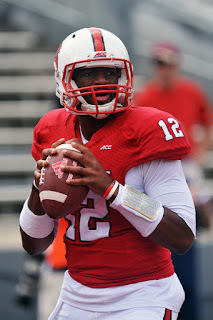 The Wolfpack should once be on the rise this season, led by former Florida QB Jacoby Brissett, who has proven to be among the best inside the ACC. Running back is also a strength, led by senior Shadrach Thornton and do-it-all Matt Dayes. Bet against Steve Addazio at your own risk; despite rather underwhelming rosters talentwise, he has put together 7-6 years in his first two years after taking over a program that had just six the two previous years before he arrived. The Eagles will once more be sneaky in 2015, led by back Jon Hilliman, who is sure to breakout in his sophomore season. The pressure is on for Scott Shafer; the Orange limped to a 3-9 mark after a solid 7-6 debut by Shafer in '13. Syracuse should be much healthier this year, and have the luxury of having an experienced quarterback in senior Terrell Hunt. Explosive linebacker Marqez Hodge will have to lead a defense that was hit hard by graduation. The Demon Deacons were quite honestly pitiful offensively for a large chunk of the 2014-2015 season and former Bowling Green coach Dave Clawson clearly has a lot of work to do. Sophomore tight end Cam Serigne will at least give the offense a weapon, while the defense should be decent, led by junior safety Ryan Janvion. Paul Johnson and his Georgia Tech program ended 2014-2015 on fire, that culminated in a dominant bowl victory against Mississippi State in the Orange Bowl. A number of pieces are back from that 11-3 team, including junior QB Justin Thomas, a dark horse Heisman threat. A number of rushers need to be replaced in the backfield, such as Synjyn Days and Zach Laskey, but players like C.J. Leggett and Dennis Andrews are ready to step up. Talent has never been a problem at Miami but even with a roster full of NFL prospects, the 'Canes managed just six wins last year. That has put some extreme pressure on Al Golden (who might have the hottest seat in America right now) to improve dramatically this season. Sophomore QB Brad Kaaya is the real deal, and receiver/return specialist Stacy Coley is as exciting as they come. Life has been weird in Blacksburg, Virginia lately. A program accustomed to winning has struggled mightily as of late, with a rather pedestrian 22-17 over the past three years. This year's Hokies roster has the chance to get the team out of the funk. QB Michael Brewer has great experience, and sophomore receiver Isaiah Ford is ready for a big year. Defensively, VT should be stout as ever, led by All-American cornerback Kendall Fuller. A solid 9-4 mark was a nice followup for David Cutcliffe and Duke after a breakthrough 2013-2014. The Blue Devils should once more be good, even without Anthony Boone and Jamison Crowder leading the offense. The defense should be great, led by senior safety Jeremy Cash and junior DeVon Edwards, and the cupcake non-conference slate helps. Pat Narduzzi arrives from Michigan State inheriting a Pitt program that has stalled. The team has gone 6-7 or 7-6 in each of their past four seasons. The good news is that running back James Conner is a legit Heisman threat, after picking up 1,765 yards last year. Though, the defense is a little bit thin and the schedule is no breeze, with non-conference meetings at Iowa and against Notre Dame. Pressure might be looming in Chapel Hill for Larry Fedora. 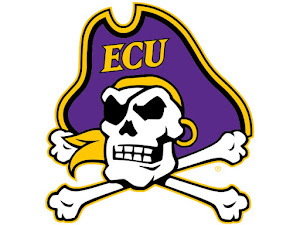 The team went 6-7 following a 7-6 flop in 2013. While the offense was great, the defense was among the worst in the Power Five. The hiring of former Auburn head coach Gene Chizik at defensive coordinator should help, but it still could be a liability. At least junior Ryan Switzer can do everything, from receiver to special teams. The Cavs were pretty competitive last year, posting a 5-7 mark and pushing UCLA and Virginia Tech to near upsets. 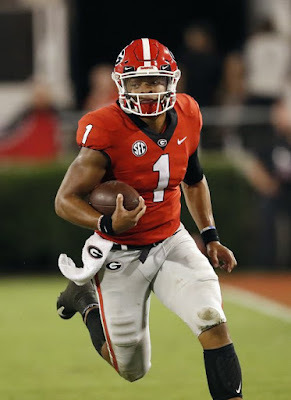 Though, back Kevin Parks is gone and the quarterback position is in complete shambles, not helped by the transfer of Greyson Lambert to Georgia. Sophomore safety Quin Blanding is ready to star on the defensive side of the ball. Ohio State had a magical end to the 2014-2015 season but they won't need magic or luck of any sorts this season. This Buckeyes team should be absolutely dominant, starting with offensive weapons like Ezekiel Elliott, Jalin Marshall, Michael Thomas, Braxton Miller and whoever starts at quarterback. Defensively, Joey Bosa is a freak, while the secondary should be much improved. Don't think Ohio State will absolutely run away with the Big Ten East though. Mark Dantonio has built quite the program in East Lansing, and the Spartans should once more be very good. Senior QB Connor Cook is ready to have a huge year, and the defense should be it's usual stingy self, led by defensive end Shilique Calhoun. Jim Harbaugh's return to his alma mater at Michigan should be one of the most intriguing storylines in college football this season. And, the cupboard is far from dry for the former Stanford and San Francisco Niners head coach. Junior back Derrick Green is ready to finally fill lofty expectations, while redshirt freshman Jabrill Peppers could play both ways. The QB situation is interesting, but expect junior Shane Morris to take over the job. The Nittany Lions started 2014 on fire before slowing down considerably in the second half of the year, finishing off a decent but not overly exciting 7-6. Second year coach James Franklin will once more have the combination of junior QB Christian Hackenberg and sophomore receiver DaeSean Hamilton to work with. Though, Hackenberg has to cut down on turnovers and improve late in games for PSU to meet their potential. Despite some major ups-and-downs, Maryland finished off '14-'15 with a 7-6 mark the same record they had managed a year earlier. Though, Randy Edsall's program continues to show improvement and could raise that win total past seven. Senior quarterback Caleb Rowe has long struggled with injuries but should be healthy, while senior kicker Brad Craddock is a major help for the Terps. Quietly, Rutgers had an impressive debut in the Big Ten, going 8-5 that included a bowl victory. The Scarlet Knights will once more depend heavily on the services of receiver Leonte Carroo who had 1,086 yards and 10 touchdowns a year ago. LSU transfer Hayden Rettig is seen as the likely replacement to longtime Gary Nova at quarterback, and the defense has some solid pieces. A huge win against ranked Missouri seemed like it could be the statement win that Kevin Wilson and Indiana needed to vault the program into a legit threat in the Big Ten. Instead, the Hoosiers didn't play well after that, falling to a 4-8 mark, a decrease in the five wins in 2014. That has put some significant pressure on Wilson to get the job done. Not helping him will be the loss of 2,000-yard rusher Tevin Coleman, but UAB transfer Jordan Howard could lighten the load. The next great Wisconsin rusher is here in the form of Corey Clement, who should take over for Melvin Gordon. Wisconsin is a run-first team but senior QB Joel Stave should help make the offense a little less one-dimensional and the Badgers' defense should once more be great, with senior safety Michael Caputo and a stocked linebacker corps. It hasn't exactly been quick, but Jerry Kill has built a program to be reckoned with in Minnesota. The Gophers will once more lean heavily on a power-run offense, with senior Rodrick Williams taking over where David Cobb left off. Junior Mitch Leidner returns at quarterback, but his top receiving threat, tight end Maxx Williams, will have to be replaced after leaving a year early for the NFL. Yet another 9-4 campaign wasn't good enough for Bo Pelini at Nebraska. Now, the 'Huskers are going with former Oregon State head coach Mike Riley who will undergo quite a transition in the move from the Pacific Northwest to the Midwest. Not helping that transition will be the absence of superstar Ameer Abdullah at tailback. Junior receiver Jordan Westerkamp leads a solid passing game. The fans are starting to get restless in Iowa City. Longtime head coach Kirk Ferentz has gone 34-30 in the past five years, including an uninspired 7-6 record a year ago that ended in a blowout loss to Tennessee in the bowl game. Now, longtime QB Jake Rudock transferred, while powerful Mark Weisman graduated. Though, a breeze of a schedule and experience on defense should help the Hawkeyes clinch a bowl berth. After the breakthrough 2013 that Northwestern enjoyed (10-3), the program has slipped to 5-7 marks the past two years. That leaves some added pressure on tenth year coach Pat Fitzgerald to see a bowl appearance this season. Sophomore Justin Jackson is ready to be a star at back, and the defense has plenty of proven playmakers. Though, the quarterback position is in rough shape, and the schedule is not simple. Amidst allegations of player abuse, head coach Tim Beckman was fired just days before the Fighting Illini were hoping to improve on a solid 6-7 mark last season. To make things even more bleak, the status of Freshman All-American receiver Mike Dudek is in serious question after a torn ACL in spring practice. Junior quarterback Wes Lunt has a great arm, but there are too many moving pieces for this Illinois team to be any sort of contender this year. Although it was just a 3-9 record, Purdue saw improvement in Darrell Hazell's second year at the helm. The program still has a lot of ground to make up but they should continue to head in an upward trend, but it will require patience. Sophomore back Keyante Green is ready to help lead the offense, after showing flashes of stardom a year ago. The Horned Frogs eight-win improvement last season still wasn't enough to get them into the Playoff. While that was definitely frustrating for the team it should serve as extra motivation for the 2015 squad, which should be scary. Senior QB Trevone Boykin could enter the year as the Heisman favorite, and he is surrounded by playmakers (back Aaron Green, receivers Kolby Listenbee and Josh Doctson) plus a veteran-laden offensive line. Another team that felt completely snubbed by the Playoff last year, Baylor should also have extra motivation entering 2015. And, they too should be terrifying offensively, even without QB Bryce Petty. Receivers K.D. Cannon and Corey Coleman are studs, and Seth Russell should fill Petty's shoes just fine. Few teams are as big of disappointments as Oklahoma was last season, struggling to an 8-5 mark after being trendy Playoff pick. That disappointment led Bob Stoops to seek out brand new OC Lincoln Riley, who will have a lot to work with. Sophomore Samaje Perine is as good as they come at back, while Texas Tech transfer Baker Mayfield takes over at QB. Defensively, linebacker Eric Striker is going to have another huge year. A 5-1 start by Ok. State was overshadowed by five straight losses in the middle of the year. Though, the Cowboys ended the year well, and found a budding superstar in QB Mason Rudolph. Rudolph has all the talent to put together a huge sophomore year, in an offense that always inflates states. The defense should be solid across the board, and it has quite the star in DE Emmanuel Ogbah. KSU proved that they were had staying power a year ago, going 9-4 with their only regular season losses coming to some college football heavyweights (TCU, Baylor, Auburn). Though, the 'Cats lose QB Jake Waters, receivers Curry Sexton and Tyler Lockett and a number of impact defenders. Though, Bill Snyder has long overachieved in Manhattan, and he will be helped by a shutdown secondary, led by safety Dante Barnett. Any Longhorn fan that thought Charlie Strong was going to resurrect the program overnight got a rude awakening a year ago. The Longhorns went 6-7 and played very poor against the conference's top competition (managed 17 points combined in games against TCU, K-State and Baylor). Strong will lean heavily on senior back Johnathan Gray along with explosive Daje Johnson at receiver. But, the QB situation is a real problem, with incumbent junior Tyrone Swoopes battling redshirt freshman Jerrod Heard, and the defense has long had some problems. The 2014-2015 season was a breath of fresh air to the WVU program. Following a 4-8 2013, the Mountaineers went 7-6, with a win over Baylor and near upsets against TCU and Alabama. The Mountaineers will be without first-round NFL selection Kevin White at receiver but junior QB Skyler Howard will still have plenty to work with. West Virginia could be a great defensive team, led by senior safety Karl Joseph and linebacker K.J. Dillon. Kliff Kingsbury's return to Lubbock and the appeal over his football program have seemingly worn off, following a rough 4-8 year. Not only did the Red Raiders struggle to close out games they were straight terrible defensively, highlighted by the fact they let up 82 points against TCU. The good news is that whoever starts at QB: Davis Webb or Patrick Mahomes will have plenty of playmakers at receiver, namely senior Jakeem Grant. There is some serious pressure on Paul Rhoads as he enters his seventh year in Ames. The Cyclones went a terrible 2-10 last season, made worse by losses to FCS foe North Dakota State and lowly Kansas. Senior QB Sam Richardson will be eager to improve what will be a revitalized offense, but the defense is still filled with holes. First year head coach David Beatty has his work cut out for him in Lawrence. The Jayhawks have gone 12-48 over the past five years, including a 3-9 mark last season. Beatty won't have a ton to work with unfortunately. Linebacker Jake Love and receiver Rodriguez Coleman are fun to watch, but this program still has a long way to go before they are seen as any type of contender. The Ducks nearly managed to win the program's first National title a year ago, but even being led by Heisman winner Marcus Mariota just wasn't enough. Mariota is gone, but the Ducks' offense shouldn't miss much of a beat. Back Royce Freeman is going to have a crazy sophomore season, while the return of a healthy Bralon Addison is huge at receiver. Eastern Washington transfer Vernon Adams takes over at quarterback after putting up prolific numbers in the FCS ranks. It is weird that an 8-5 season that included a bowl win was seen as a disappointment for Stanford, who has until recently, struggled for much success at all on the football field. David Shaw has enough to improve on that eight-win mark and get the Cardinal back to a bowl game, particularly defensively. Senior linebacker Blake Martinez is a tackling machine, while defensive tackle Solomon Thomas could break out in his sophomore year. Christian McCaffrey could take over as Stanford's next stud running back. Quietly, Cal was among the nation's most improved teams last year, going from one win to five in Sonny Dykes' second year at the helm. Dykes' high-powered offense will once more be generated by junior quarterback Jared Goff, who could be in store for record-setting numbers. Senior Trevor Davis is electric, while junior Kenny Lawler could be Goff's top weapon at receiver. The defense should also be improved enough to make this Golden Bears team a possible serious dark horse out West. Chris Petersen arrived from a long and very successful stint at Boise and put together a strong debut in Seattle, going 8-6. Though, the defense was hit hard by the NFL Draft, losing Danny Shelton, Shaq Thompson and previously dismissed corner Marcus Peters. Though, sophomore safety Budda Baker is in store for a breakout and the offense should be improved, led by receiver Jaydon Mickens. It was a weird offseason in Corvallis, Oregon. First, Mike Riley took an interesting move to Nebraska, and then the Beavers managed to reel in Gary Andersen from over at Wisconsin. Andersen is a great coach, but he could struggle early at Oregon State. Senior Storm Woods gives him an experienced back to work with, but the graduation of Sean Mannion and the transfer of Luke Del Rio likely means true freshman Seth Collins is the man at QB. The Mike Leach experiment at Washington State is at a crossroads; following a breakthrough 6-7 year in 2013 that saw a near bowl victory, the Cougs regressed to a 3-9 mark last season. Leach will once more employ his air-raid attack and will be helped out by junior receiver River Cracraft. Though, the quarterback position is a mystery, and the defense is going to be a major problem. The time is now for the return of the Trojans. Second year head coach Steve Sarkisian has had a rough offseason but has all the tools for a Pac-12 title. Senior quarterback Cody Kessler is a Heisman candidate, while receiver JuJu Smith is ready for a big year. Defensively, versatile Su'a Cravens can do it all, and cornerback Adoree' Jackson might even play both ways. Plus, the offensive line could be among the nation's best, led by center Max Tuerk. What Rich Rodriguez has done in a short time in Tucson has been amazing. The Wildcats won 10 games a year ago, and made a trip to the Pac-12 Championship Game. What was even more amazing was they did it with a freshman QB and running back. Now, Anu Solomon returns to lead the offense, while back Nick Wilson is ready for another crazy year. Linebacker Scooby Wright is as good as they come on the defensive side of the ball. The other school in Arizona has experienced quite a rise over the past three years themselves. The Sun Devils enter 2015 fresh off back-to-back 10-win seasons and they should again hit double digit victories. Explosive D.J. Foster will make a move to receiver and will change games, while the QB spot is in good hands with senior Mike Bercovici. The Bruins are also off back-to-back 10-win years, and have high expectations entering the new year. True freshman Josh Rosen is primed to take over for Brett Hundley at quarterback, while back Paul Perkins is among the most undervalued in the nation. On defense, linebacker Myles Jack is going to put together another big year, but must help replace impact 'backer Eric Kendricks. Even in a division with very little wiggle room, Utah could still push themselves into Pac-12 title contention. The Utes will once more lean heavily on the services of senior back Devontae Booker (1,512 yards, 10 touchdowns) but the passing game must improve. Senior Travis Wilson has all the tools to be a great quarterback he just has yet to put it all together. Mike MacIntrye still has quite a bit of work to do at Colorado, evidenced by their 2-10 struggle of a 2014-2015. The thing is, there is undeniable talent on this roster. Linebacker Addison Gillam is among the best in the conference, and the offense will be led by senior receiver Nelson Spruce and solid QB Sefo Liufau. Though, the Buffs are still just too young and not deep enough to be seen as anything but cellar dwellers, especially in this division. Todd Gurley was among the best players in college football over his time in Georgia and yet, the Bulldogs probably won't miss him that much this season. That is because sophomore Nick Chubb is ready to become a household name after rushing for 1,323 yards after injuries to Gurley. Chubb isn't the only elite talent on this roster; linebacker Leonard Floyd is a monster, and the front seven should be stout. Even with severe losses across their team, Mizzou managed to win 11 games and clinch their second straight SEC East title. The Tigers will once more be in the mix this season, with the help of junior QB Maty Mauk. Although inconsistent, Mauk is a wonderful talent when on his game, and he was more to work with this year, including a breakout candidate in sophomore receiver Nate Brown. Volunteer fans have long awaited a return to national prominence by the Tennessee program. Well, this should be that season. QB Joshua Dobbs is a fantastic leader, and will be joined in the backfield by the two-headed monster of Jalen Hurd and JUCO transfer Alvin Kamara. The defense is going to legit as well, with linebacker Curt Maggitt and shutdown corner Cam Sutton. Jim McElwain has returned to the SEC (offensive coordinator at Alabama before taking head coaching job at Colorado State). McElwain will now have the exciting task of rebuilding a program that always has crazy high expectations. Junior running back Kelvin Taylor is the real deal and the defense should be good, led by cornerback Vernon Hargreaves. Though, the QB position has been a problem ever since Tim Tebow left, and sophomore Treon Harris nor redshirt freshman Will Grier have claimed the job. After three straight 11-win years, South Carolina faltered to a 7-6 mark last season. It was a wakeup call for Steve Spurrier and the program. The team has plenty of talent, beginning with back Brandon Wilds along with junior linebacker Skai Moore. But, the QB spot is a problem and proven receivers aren't on the roster right now. South Carolina might be hard pressed to repeat even that seven-win total with a tough schedule. Kentucky will probably always be a basketball school, but that shouldn't overshadow that Mark Stoops is building a football program in Lexington. The Wildcats improved to a 5-7 record last season and played competitive against some of the toughest of SEC foes. Stoops continues to recruit well and he will be blessed with a veteran quarterback, Patrick Towles. Towles push the backfield of Jojo Kemp and Stanely Williams could help guide UK to a bowl berth. The James Franklin era already seems like ages ago in Nashville. The Commodores, who enjoyed a 24-15 mark under Franklin (now with Penn State) limped to a 3-9 mark in Derek Mason's first year at the helm. The team will have to search for solutions offensively, but at least impact tight end Stephen Scheu could be an All-SEC candidate. The defense should be solid, led by Stephen Weatherly, but Vandy still has a long way to go. The Tigers are eager to prove themselves after going 8-5 last season, not terrible by any means but not matching a magical 2013-2014. Jeremy Johnson takes over at quarterback for the graduated Nick Marshall and should put up huge numbers, especially considering his top target, Duke Williams is back. Sophomore Roc Thomas appears to be the heir to Cameron Artis-Payne at running back. Auburn's instate rivals over in Tuscaloosca are also hungry to prove themselves entering 2015. Nick Saban will have his usual fair share of future NFL talent, most notably tailback Derrick Henry, defensive linemen A'Shawn Robinson, linebacker Reggie Ragland and Eddie Jackson at corner. Plus, Alabama's O-Line will return to their punishing ways. Though, Blake Sims graduated at QB and his replacement is yet to be named from a race that includes Jacob Coker, Alec Morris, Blake Barnett and David Cornwell. The Rebels were flying high after their midseason victory against Alabama and seemed destined for a Playoff berth. But, injuries and a loss of confidence by QB Bo Wallace contributed to a brutal ending to the year, where the Rebels finished off 9-4. The return of a healthy Laquon Treadwell means so much to the Rebels offense. And, although he has been often criticized former Clemson quarterback Chad Kelly appears ready to lead this offense. An eight-win campaign wasn't exactly the year the Tigers were hoping for, as a dreadful quarterback situation did little to help the offense. Sure, the defense was it's usual punishing self, and it will continue to be great. Sophomore tailback Leonad Fournette is going to be absolutely dominant this year as well. Though, unless the QB play improves, this LSU team just isn't made for a Playoff berth. The hype surrounding this Arkansas program as Bret Bielema enters his third year there is insane. The Razorbacks finished off 7-6, but throttled Ole Miss and Texas down the stretch and also beat LSU. They will feature a powerful run game once more, but senior Jonathan Williams is likely done for the year due to injury just a few weeks ago. Alex Collins will help pick up the slack, and junior Denver Kirland is as good as you can get at tackle. Senior Brandon Allen will lead a smart and methodical passing offense. As crazy as Ole Miss' run to the top of the college football world was, perhaps MSU's was even crazier. The Bulldogs held down the No. 1 ranking in all the land for a number of weeks, and quarterback Dak Prescott populated every Heisman list. Much like Ole Miss, MSU slowed down considerably but they are still a dangerous team. Now a senior, Prescott is a legit Heisman threat, while his favorite target, junior De'Runnya Wilson is also back. Defensively, Mississippi State has among the top front sevens in all the land. Texas A&M was just one of a number of teams who shone bright and far before quickly flattening out. Though the Aggies still managed to finish off 8-5, with a bowl victory over West Virginia. Sophomore Kyle Allen now has a lot more experience, and a number of weapons, including sophomore Speedy Noil and junior Josh Reynolds. New defensive coordinator John Chavis arrives from LSU hoping to turn around what has been a brutally bad unit the past few years.